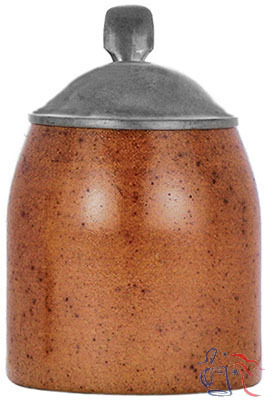 Stoneware, glazed or enameled transfer, 1.0L or 0.5L, pewter lid. 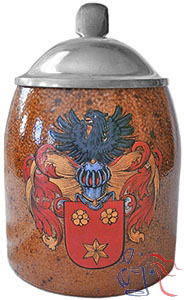 Body attributed to Albin Müller. 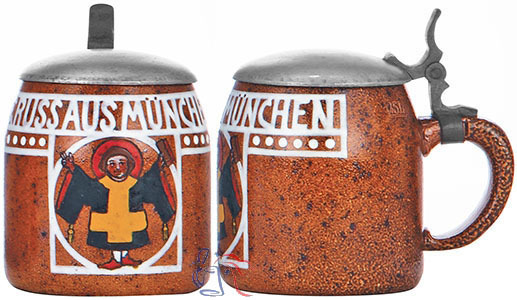 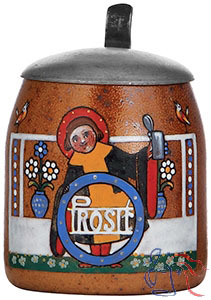 This stein exists in both undecorated form and with a variety of enameled transfer decorations, including several attributed to Ludwig Hohlwein. 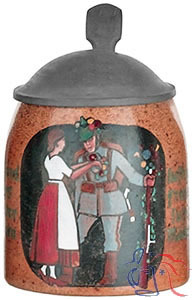 Prices for decorated versions can vary dramatically depending on subject-matter and artist.